Make your smartphone an extension of your office phone! Reach is a free download and is supported with Release 7.5 software and higher, but requires a device license on your server to be registered. 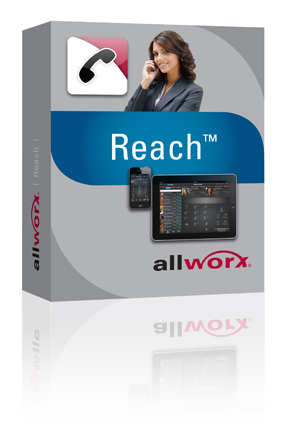 To enable it on your Allworx server, you will need a valid Reach device license purchased from NCOL.NET, an Authorized Allworx partner, and have it provisioned on your Allworx server by NCOL.NET. By ncol on January 30, 2014	· Comments Off on Make your smartphone an extension of your office phone!